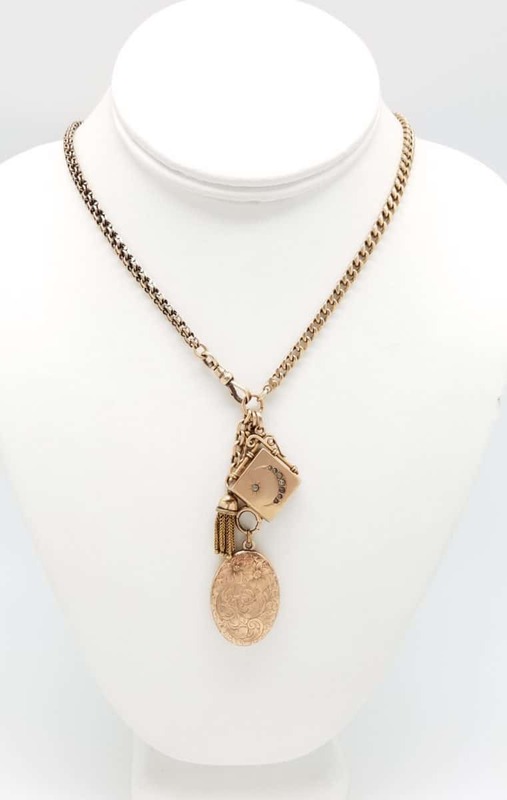 Victorian Gold pocket watch chain necklace, with two fabulous two sided Gold lockets and a tassel. The back side of lockets are both Monogramed which makes them versatile. The main locked can be traded out for other treasures, its on a spring. 28" in length.